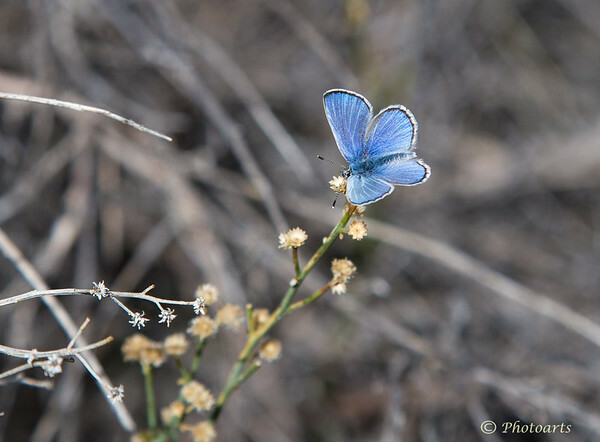 The Silvery Blue Butterfly (Glaucopsyche lygdamus) captured in highlands of Joshua Tree National Park hints at arrival of the Spring. Lovely capture of the delicate butterfly....B is for Butterfly! Beautiful butterfly, such a contrasting blue colour compared to the dullish bckr ! Beautiful butterfly, I've never seen one like this. Great capture! I always love seeing the "little blues" flitting around. You did a really nice job of capturing the details of the butterfly.